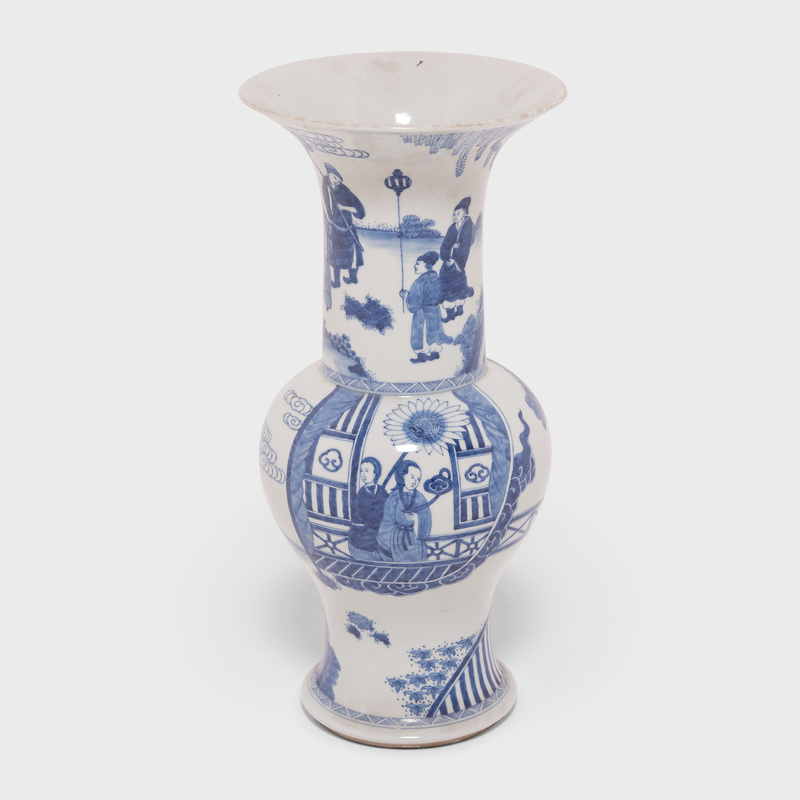 Replete with joyous symbols for a happy marriage, this white porcelain phoenix tail vase was likely given as a newlywed gift. 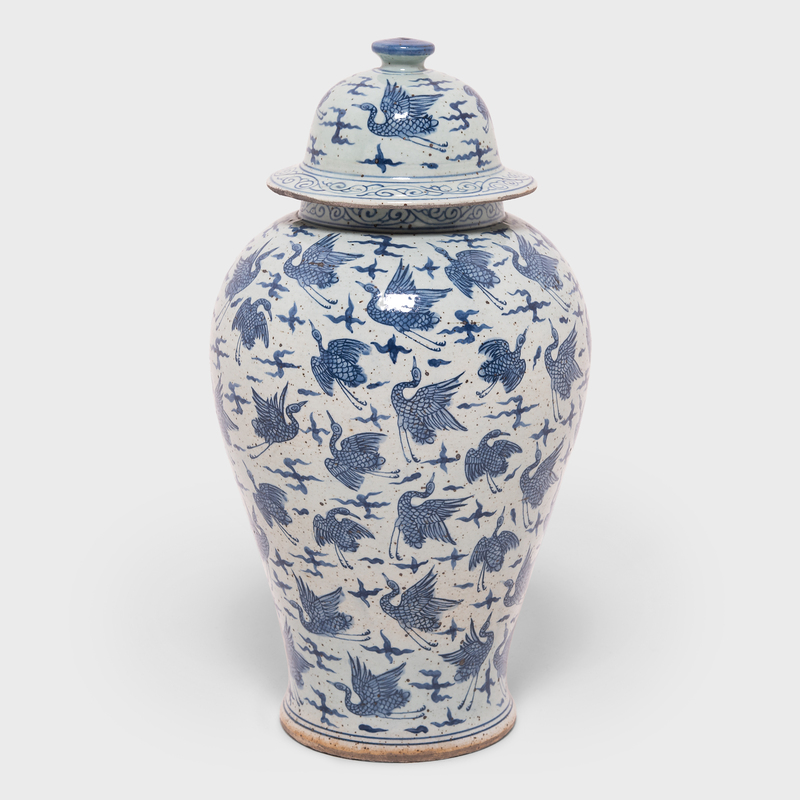 Lavishly decorated with pale washes and deep pools of cobalt blue, the vase depicts a pair of magpies, symbols of double happiness, perched on an auspicious spirit stone formation in a lush garden setting. 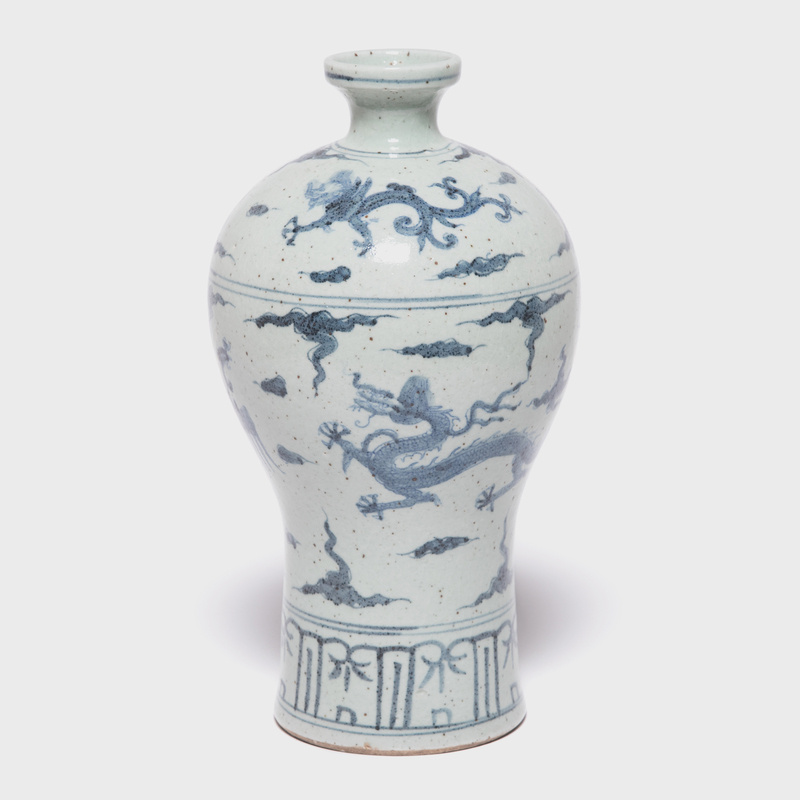 Glorious chrysanthemums on either side foretell a long and healthy union. 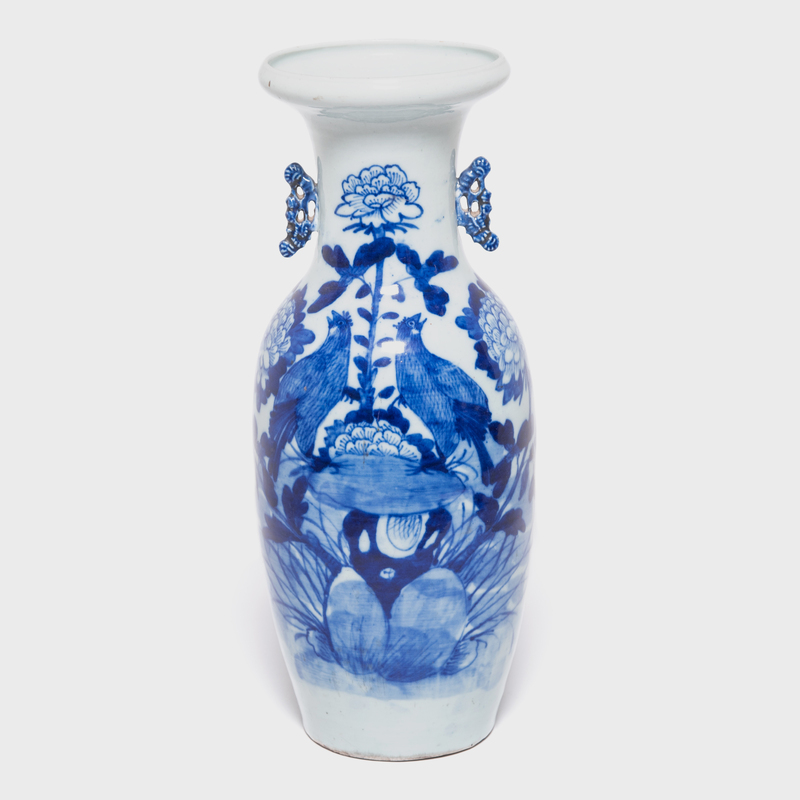 An example of the unique blue-and-white process, this vase’s beautiful decoration is painted on with a grayish-black pigment that emerges from the kiln a deep, luminous blue.